Whether virtual or in person, we’re spending our work lives in meetings that aren’t working. Research shows that 67% of meetings are ‘failures’, and have lost their primary reason–getting things done. Where have our meetings gone wrong? Over time, the amount of time spent in meetings and number of meetings held has increased significantly. Daily, upwards of 11 million meetings are held in American businesses, averaging a time frame of 31-60 minutes. These longer meetings have led to a 10% increase in the time employees spend in meetings since 2000. Returning from 2018 FABETCH, which spanned 3 exhibit halls and attracted over 30,000 attendees, we’ve had the opportunity to see and hear the concerns and market drivers US advanced manufacturers are facing. FABTECH was an excellent opportunity to take a step back from our work with advanced manufacturing clients throughout the US, for a broader, forward-thinking perspective. FABTECH 2018, which spanned 3 exhibit halls and attracted over 30,000 attendees, is North America’s largest metal forming, fabricating, welding and finishing event—and offered a fascinating and forward-looking view at advanced manufacturing. With the rapid advancements in head up display (HUD) technology in the automotive industry, the futuristic Hollywood depictions of holographic windshield screens are quickly becoming reality. Augmented reality (AR) windshield HUDs are becoming a large focus for mainstream automakers and suppliers to the point where it is expected that the market for HUD components market is expected to grow more than $5 billion in the next four years, becoming an $8 billion industry. Join us on Demo Day during the Xerox Rochester International Jazz Festival. With more than 8500 attendees, the AUVSI XPONENTIAL show is the largest event worldwide for drones, robotics, and unmanned systems spanning over 20 different industries. 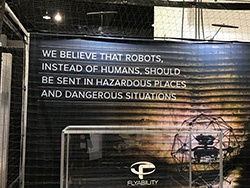 In our second year of attendance at the show, we noticed significant shifts in the market makeup, exhibitor’s strategy, and the unmanned industry as a whole. 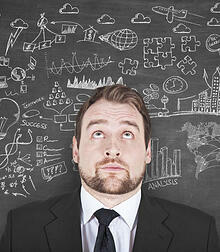 We’ve spent over 30 years helping tech companies create marketing and sales strategies that reach new customers. Although the word “sales” typically conjures images of overzealous, comb-over-sporting used car salesmen, sales are a necessary part of your business’s profitability and growth. Sales funds innovation, which in turn fuels more sales. As we do each year, Launch Team has paired up with Novatek to take a close look at the current trends, changes and technologies that are impacting the medical device industry. From product launches to new sales models, we're examining the 2018 outlook and sharing our insights. FABTECH in Chicago represents some of the fastest growing segments in U.S. manufacturing today, including laser marking and automation. Attendees are the ultimate users of many of the technologies we work in: laser diodes, optical assemblies, laser steering systems, coating technology, and capital equipment. Yet many of these companies know little about the end application and the users’ needs.